Th State has entered a Nolle Prosequi in the case in which NDC Consultant Chisamba Kambwili was charged with unlawful assembly. 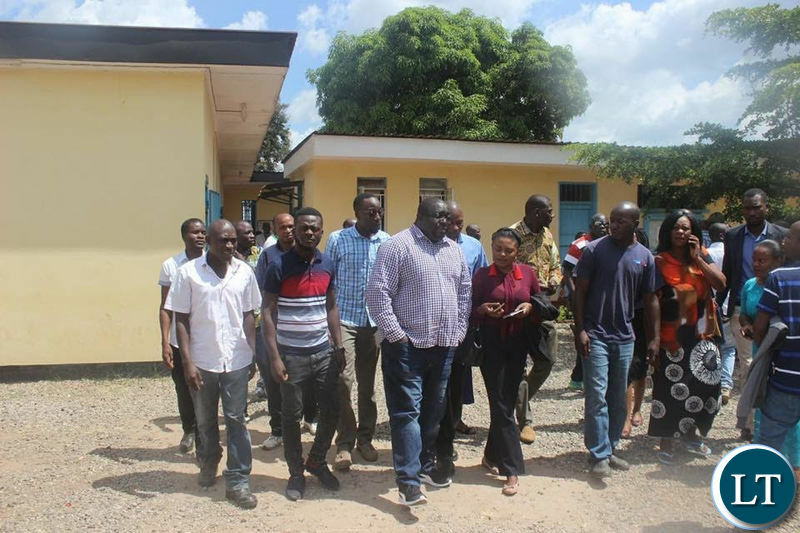 Dr Kambwili was arrested alongside the 15 AVIC international workers from Roan Constituency that came to his home to complain about poor working conditions. The case in which NDC consultant Dr Chishimba Kambwili, who is also former Member of parliament for Roan Constituency and Avic Workers were dragged to court for unlawful assembly came up this morning in Luanshya. The court quashed all charges slapped on Dr Kambwili and AVIC workers and set them free. Dr Kambwili was accompanied by NDC Candidate for Roan Joseph Chishala, MCC Incharge of mobilisation Christopher Mutale, Famous Kabwe, his lawyers Christopher Mundia and Caristo Munkonka. And Dr Kambwili said he is grateful that that the youths are free. “These Roan youths where banged up in the police cells for close to 1 week all because they came to seek help from their then area MP. The youths have since been fired for associating with me and they are suffering because President Lungu and the PF government want to play politics with people’s livelihoods, Dr Kambwili said. “I am grateful that these young men are now free,” he said. First nolle of the year. PF regime doesn’t mean well to the people of Zambia. It is NOT the first Nolle Prosequi this year. Do you know how much it costs tax payers to pay state lawyers? And these clowns in government can not even pay civil servants their salaries? You have to question the mental capacity of our leaders, more specifically, that of leader. Africa is an enemy to itself, how we hurt each other remains a mystery. This hatred came with Satan and PF,we were living in peace before they came into power and they should expect nothing short of what they have rewarded us with when they are out of power,unlike them the nation will not even witness abuse of authority,they have committed enough sins to see them dying in jail. Im greatful thats these have been freed,says c.k.greatful to who? He didn’t say “greatful”,he said “grateful”.Grateful means happy. According to my little knowledge of English.